Yaksha Prashna is a profound section from the Mahabharata, where Lord Yama asks a set of 123 questions, to Yudhishthira, on a variety of topics concerning ethics, code of conduct, knowledge of oneself, pursuit of the truth and the qualifications required for the pursuit, attitude to life in general, Universal order, appreciation of divinity in the world around us etc. The participants were from India, Brazil & Italy. 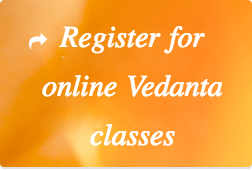 There were 2 Vedanta classes for an hour every day. There were also classes on Yoga & basic Sanskrit pronunciation including learning to chant some basic mantras and prayers. There was a question & answer session for an hour everyday in the evening where the campers got their questions answered. The camp was conducted by Swami Sarvananda.